The rush of excitement I experienced as a result of my first furniture painting (re)style project (described in my post A Fresh Coat of Paint for the New Year) has ignited my creative spirit and spurred in me a desire to do more with my paint brushes, paint and wax. I am intrigued by the idea of (re)styling and (re)newing antique furniture to live in today’s Lowcountry design aesthetic. How many once loved tables, chairs, buffet sideboards, china cabinets, bed headboards and footboards and other antique furniture could find a new life and usefulness with just the right coat of paint and wax? To find an answer to this questions I decided to (re)style several of my own (and a friend’s) pieces of furniture. 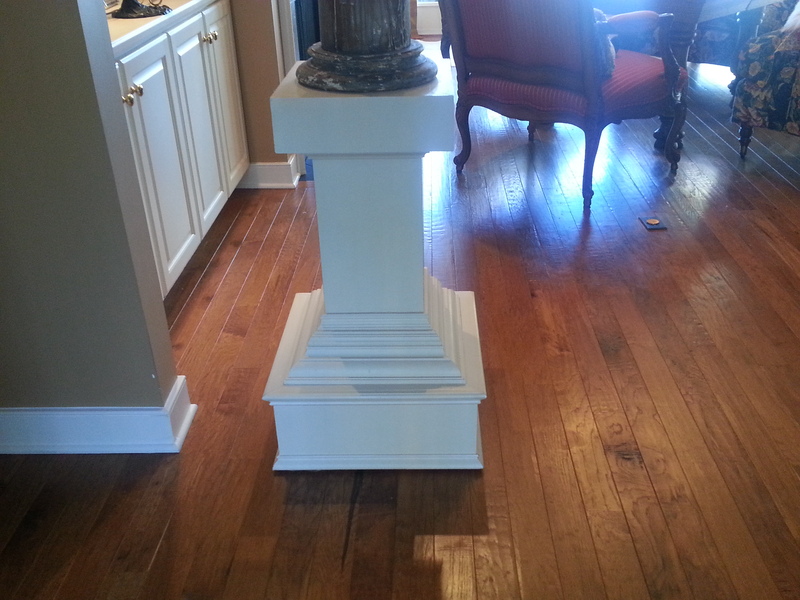 First, I tackled two white custom made pedestals. 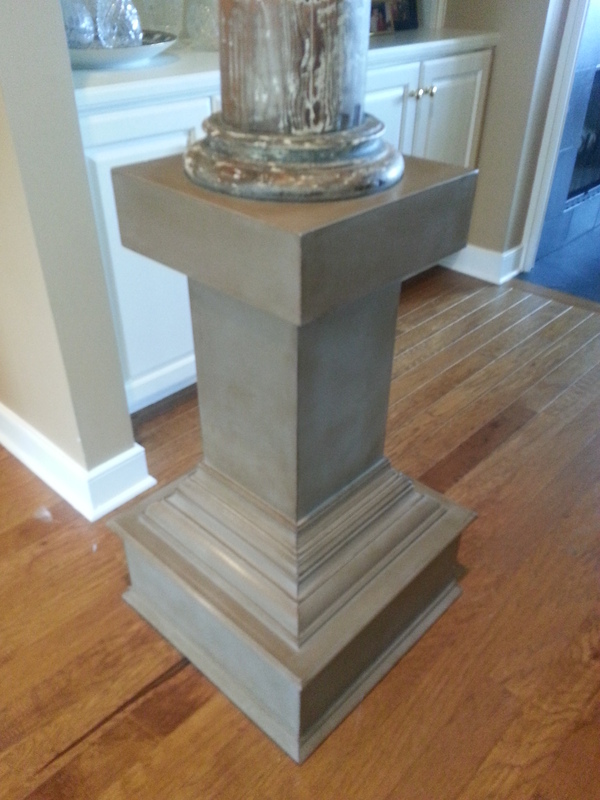 These pedestals were made and put into place 15 years ago to showcase and support antique pillars that sit atop of them. I have always loved the style of the pedestals; however, the white color does nothing to showcase the pillar’s character and beautiful wood finish. They are now painted in Annie Sloan “Coco” Chalk Paint with a dark wax applied to add depth and to highlight the edges and molding detail..
Next, I helped a friend (re)style an antique Cottage Chest purchased more than 40 years ago at an antique auction in Maine. 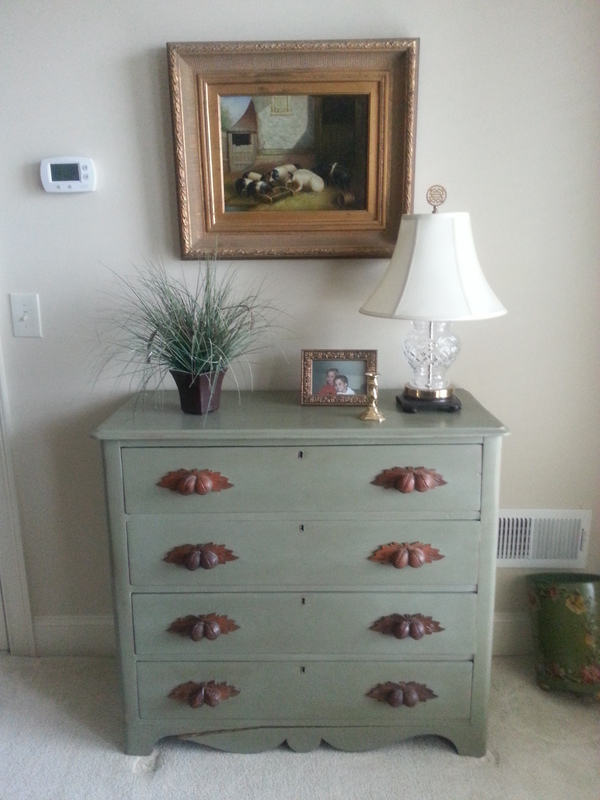 My friend selected Annie Sloan Chateau Grey Chalk Paint with a lightly applied dark wax. 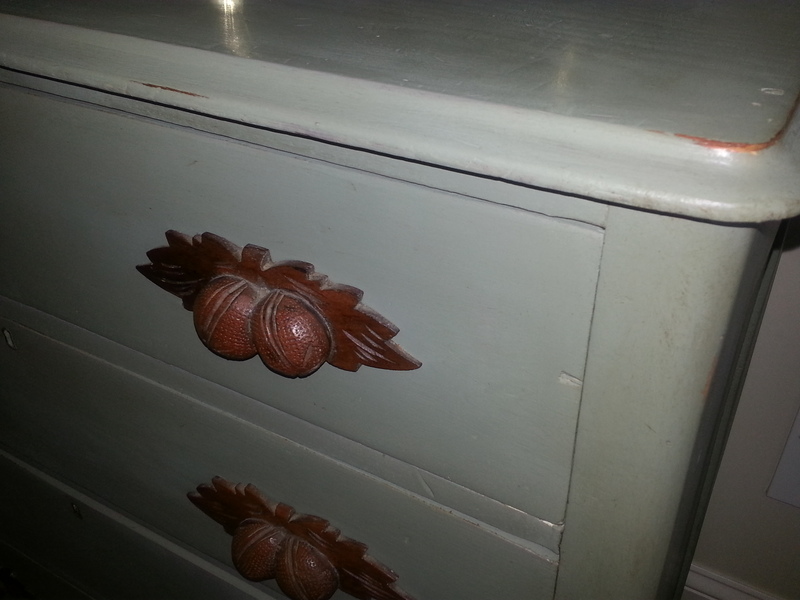 The “before” chest was a yellow pine finish with walnut handles. The “after” is a stunning difference. There is nothing like the instant gratification that comes from painting a beautifully styled piece of furniture with a lusciously tinted coat of paint brought to life with a wax luster. With my confidence growing I decided to jump into the deep end of the paint can and tackle an antique sideboard that I purchased in Frenchtown, NJ twenty five years ago. I love it’s cabriole legs, dark stained top and clean lines. I paid a handsome price for the brass handles; however, they needed to be toned down a bit. My design aesthetic leans towards Country French and I decided that a modern Country French (re)style would be a perfect fit and bring out this piece’s best features. 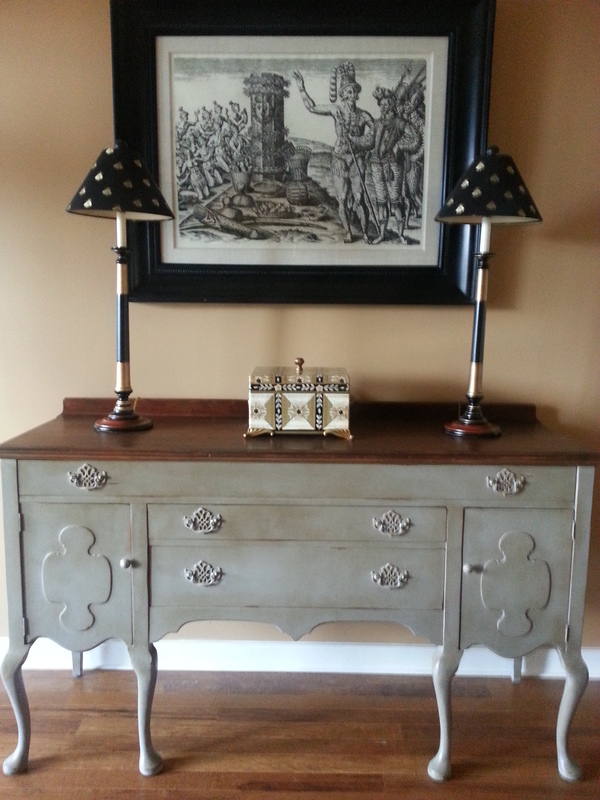 I used Annie Sloan French Linen Chalk Paint and a dark wax to complete the look. Edges were rubbed off to enhance the look. I am absolutely delighted with the result! See for yourself the results of my creative endeavor. 1) Deciding what piece to (re)style is the easy part. Choosing the right color and finish is the difficult part. There are many beautiful colors from which to choose. I had to temper my natural attraction to bright colors and choose a color that would not only complement my existing décor, but a color that would create the elegant statement the piece called for. It took me quite a while to decide on the color. I tried several different colors, even mixing colors for a custom look. 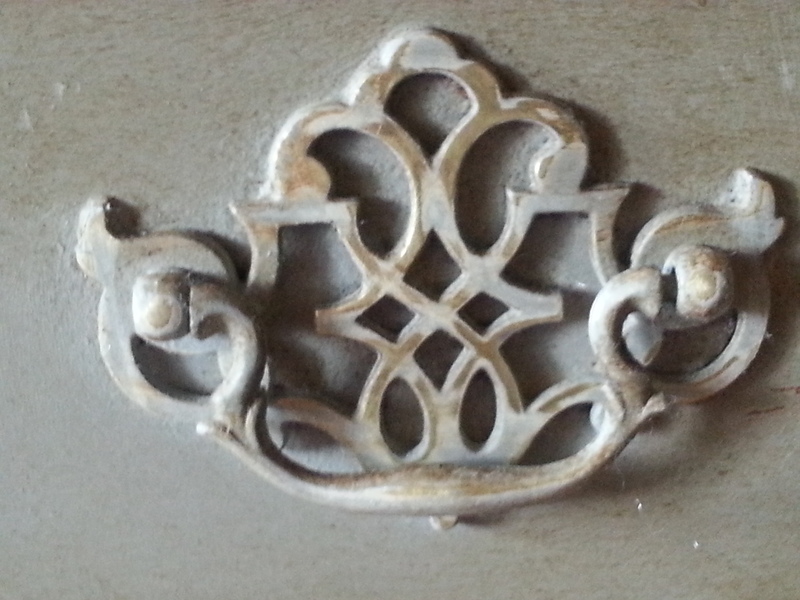 Ultimately I followed my original intuition and used Annie Sloan French Linen Chalk Paint with a dark was finish. 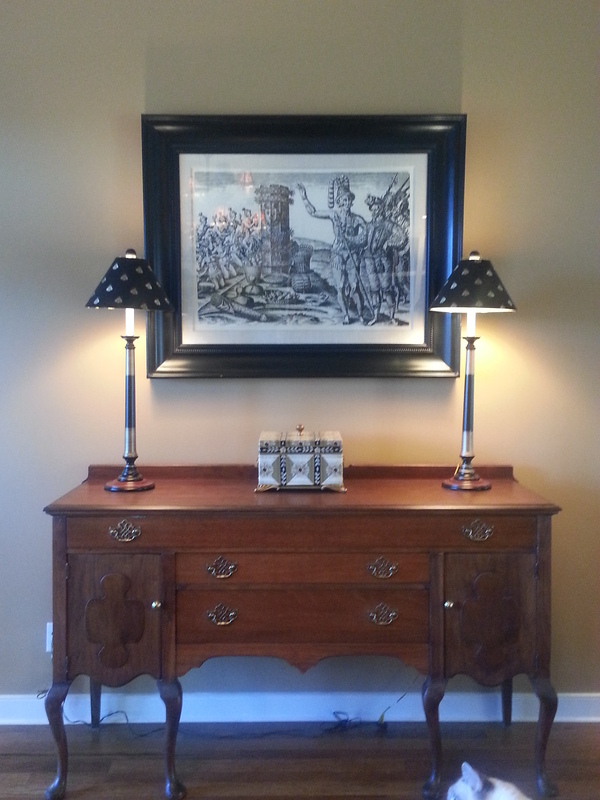 2) (Re)styling illuminates the inherent and resident beauty of an antique piece of furniture. It is not about remodeling, remaking or hiding the piece’s flaws. It is about working with what the piece offers and using the right tools – paint, brushes, wax, sandpaper, steel wool, buffing cloths – to showcase its best features. 3) (Re)styling gives the furniture new life and new purpose. It creates a new appreciation for a piece that might otherwise be overlooked or tossed aside as no longer useful or relevant. 4) Finally, as I write this post it occurs to me that the art of (re)styling a well constructed, solid piece of antique furniture could be compared to the action of (re)styling and fully (re)purposing a (my) life beyond a career. Both rely on seeing beyond the past to a new vision of possibilities for usefulness and purpose. Both are guided by an intention to bring out intrinsic structure and beauty. Both rely on tools and help from experts (or skilled practitioners) to get started and master the skills that lead to outstanding and sustained outcomes. I could go on about the parallel aspects of (re)styling furniture and (re)styling a life because I am an active participant in both. I won’t. I will continue the pursuit of both endeavors to experience the joys of creative discovery! Beautiful work! I love how you likened it to how you are “restyling” the next chapter of your life. Loved the parallel between life and restyling furniture! 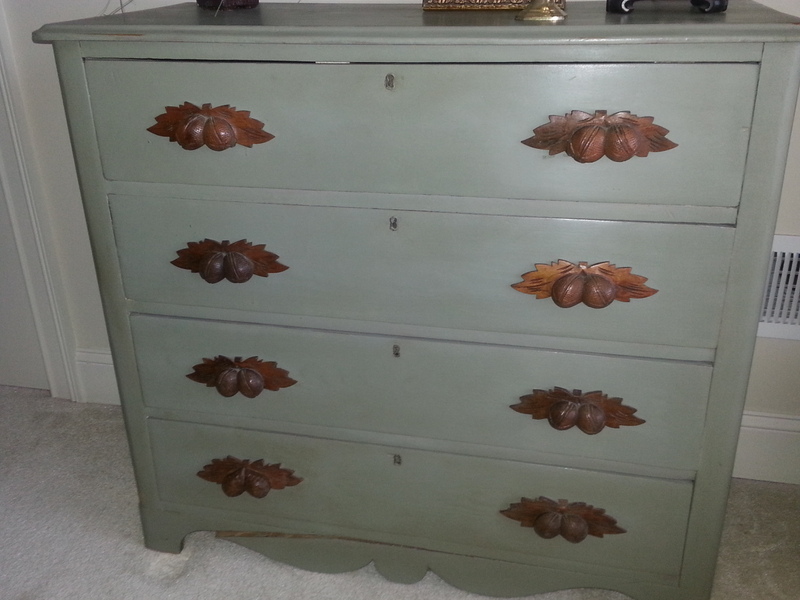 Wow, the draw pulls on the cottage chest are so lovely, were they originally on the piece? The projects came out beautifully, makes me want to run to the thrift store and buy something to restore! You are very talented! Thank you Ginny for your compliments! Yes, the pulls are original to the cottage chest. 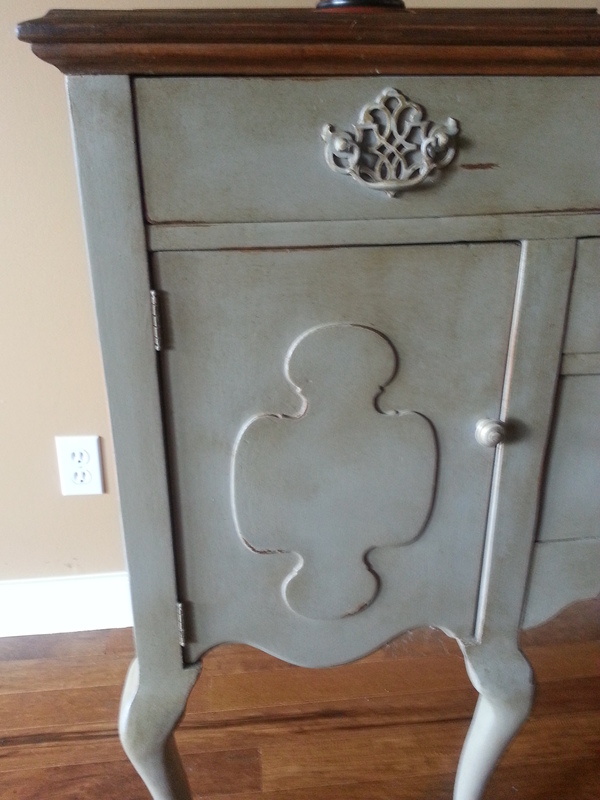 I love Annie Sloan Chalk Paint…so easy with beautiful results! I wish you could come over and help me! Your talent is amazing! I cannot imagine why I would need to help you! I do love painting furniture. 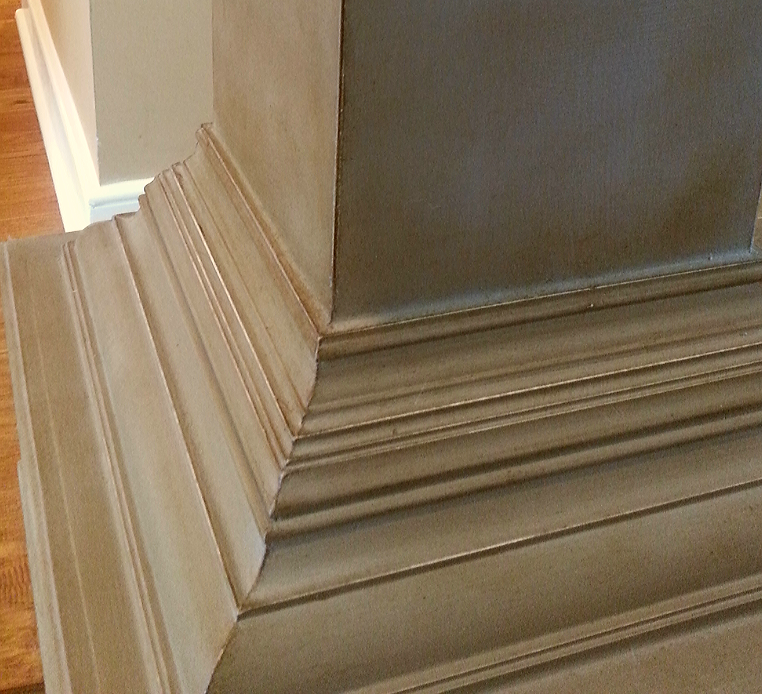 I get immediate gratification – the toughest part is deciding the paint color. Thank you for your comment!